Maria Sharapova was once again unable to defeat Serena Williams on Tuesday night in the quarterfinals of the Australian Open. Serena’s dominant performance showed us why she is still the reigning No.1 by beating Sharapova 6-4, 6-1. Since winning the Wimbledon final in 2004 against Williams, Sharapova hasn’t been able to beat Serena. They have played each other 21 times since then with Serena winning 19 of those and is currently on an 18 match winning streak against Sharapova. In the first set, Sharapova came out aggressive connecting well on majority of her shots and using her forehand to deadly effect. At first it seemed like this was probably the day the losing streak against Serena would halt, as Maria strolled to an early two games lead. Despite Serena starting off sluggish and uninspired, she bounced back to win six of the next eight games straight and would end up winning the first set 6-4. The second set was a completely different scenario, where Serena won the first five games and eventually ended up winning the set easily 6-1. Serena will be facing Agnieszka Radwanska in the semifinals whom she has never lost to. “It will be a good match,” Williams said. “She’s been playing really well towards the end of the year, and already this year she’s been very consistent. She presents a completely different game, an extremely exciting game. So I think it will be a long match, and it will be a good match to see where I am. Serena has never lost in an Australian open semi final, it will definitely be a great match to watch with both ladies playing exceptional tennis at the right time. 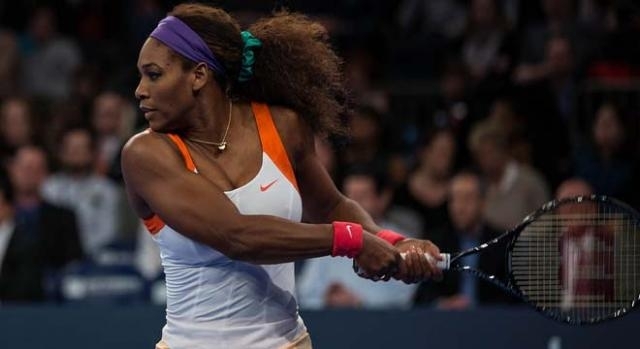 Has Serena Williams Lost The Desire To Win?